I just came across a very nice printer deal. 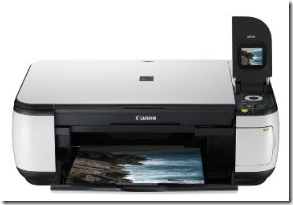 Amazon has the Canon PIXMA MP490 Inkjet Photo All-In-One Printer (3745B002) for $49.95 when you ordered from Amazon via Adorama. ChromaLife100 enhanced FINE print head technology that can last up to 300 years with select Canon photo papers. Insert your memory card into printer and print! You can read more about the features and user reviews here – Canon PIXMA MP490 Inkjet Photo All-In-One Printer (3745B002). If you are picking up this printer, you might also consider this Canon Glossy Photo Paper Plus, 4 x 6 Inches, 50 Sheets per Pack (7980A012) to go with the printer.